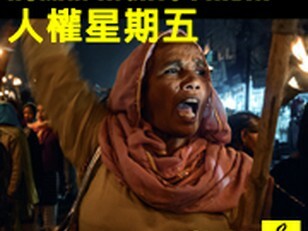 Amnesty International Hong Kong and HK Community Connect are delighted to announce a collaborative event in November which will take place on the International Day for the Elimination of Violence Against Women. The theme will, of course, be in keeping with this powerful and important day. Violence against women is a result of a global and historical culture of discrimination against women. You don’t have to look far to see that verbal and physical behaviour which negatively impacts women is everywhere. Take Trump and his #lockerroomtalk or the recent comments made by Margaret Comer, executive of Gallagher Group, on the NZ rugby Chiefs’ stripper assault allegations: “If a woman takes her clothes off and walks around in a group of men, what are we supposed to do if one of them tries to touch her?" Please join us for a night of informal education and discussion. 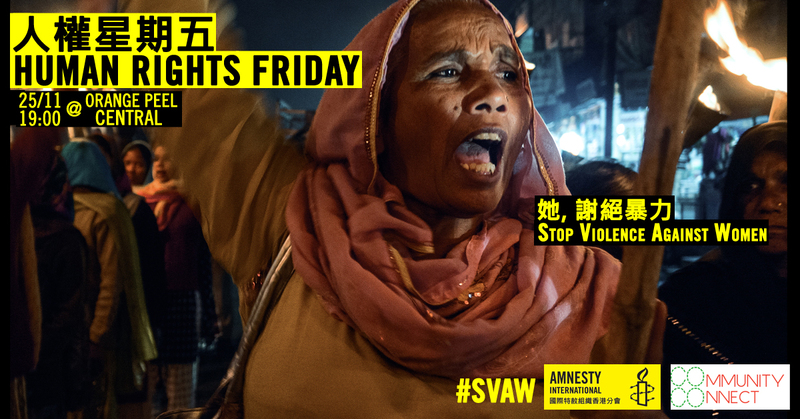 This night will be the kick-off event of the Stop Violence Against Women campaign - Amnesty International Hong Kong is holding a series of events against gender-based violence, during the 16-day period from 25 November (International Day for the Elimination of Violence against Women) through 10 December (Human Rights Day). More about #SVAW : There will be film screenings, community talks and running events etc. Check'em out at svaw.amnesty.org.hk.